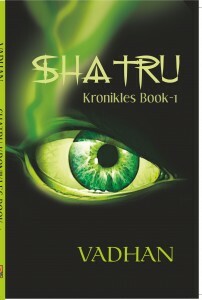 Recently we got a chance to read a book titled Shatru – Kronikles – Book – 1 by debutante author Vadhan (full name: Bommadevara Sai Chandravadhan). The book takes you in the land of fantasy where the things are quite inspired by Indian mythology. These days, retelling Indian mythology becomes a kind of fashion. However very few authors makes a mark by exploring it logically and adding contemporariness to it. So we decided to go ahead to read it. And, here are our personal Views and Reviews for this book. 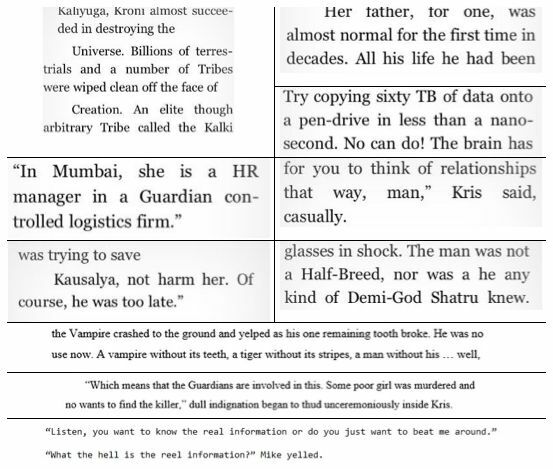 The book starts like a murder mystery where a lady (Kausalya) who is working at a key position in a very big organization is murdered in her car in a rainy night. She was on the way from her home to the office. Ajatshatru (also known as Shatru) is given the task by his superiors to find out the truth about the murder. He is also known as Hunter (as he hunt for the criminals). While he was made some progress and started getting some clue about the creature who could be responsible for the murder; he was asked to stop the investigation!!! Why he was asked to do so? Is there some mystery which needs to remain covered? If it was not enough, his father and his dog are attacked by someone in a way that he got the message to continue his investigation. If he don’t he have to be ready to lose his loved ones! Now, the things are more complicated, by continuing the investigation he will have to feel the wrath of his superiors, which are, well – the guardians. Whom, no one dare to go against. What happens ahead is the rest of the book. I am the one the Guardians call their finest, the one the High Lords of the higher worlds and Overlords of the lower worlds do not question. I can see into all fourteen worlds of power, the other side of Creation (that wasn’t true of course, no one could see into that place. There were stories about it) and you thought you could what, kill me? You bloodless parasite, you thought that? So he is crystal clear about what he needs to do and he can go to any extent to complete the task he took in his hands. He is ruthless there. However we see his emotional side as well. And yes, his presence of mind is also shown at various places in the book. A man’s home is his castle and some … thing had invaded my castle, vandalized it, metaphorically speaking of course. I did not let it rest. “This game has gone far enough. There is nothing here for you,” he said softly. Cauliflower Head grimaced, which meant that the rubbery skin from his neck down to his abdomen scrunched into itself. “His father, the one that cannot be named,” the creature said. When you start reading it, you might started linking it with the Famous Harry Potter books’ antagonist, Lord Voldemort (the one, who cannot be named). But, it ends into some funny dialog. I don’t have use for all the softer emotions, I am better off as Shatru – the enemy! Are we in Narnia?” Kris asked in amazement, drawing reference to the C.S. Lewis novels of the same name. After the sixth bottle Shatru started to feel slightly better than a cricket ball after a T20 match. That’s funny; I thought all aliens on Earth ended up in America. You wear it because you love your mother, son. The so called children – us – are just fodder they use in their wars and strategies to beat down each other. If one of us goes down, they use that as an excuse to fight each other harder. Love, he knew could turn to hate in a moment and there was no escaping its pain. Something that not truly lived for an age was out to feed. Rambabu bolted upright, snarling at Shatru. Kris turned a bright-sunny-day-without-a-cloud-in-the-sky sort of a blue with yellow stripes crisscrossing all over his body. They bid adieu to the Big Apple leaving the wounded Yakshi and her bodyguard in the-coffee-shop-inside-the-time-capsule. The rest of the world rolled on the only way time allowed it to travel, onwards. He had his ace, now he needed to play it. It was simply a matter of elimination of possibilities. Its not enough to just have a cow, it’s more important to know how to milk it. Kris laughed heartily. D’Costa smiled wanly, but the smile never reached his eyes, they were too full of pain and fear. The book links various mythological aspects of ancient Indian literature in quite effective manner. It even mentions why Devas are called as Adityas. The idea behind the song of trinity is quite fascinatingly told by the author. Well, telling much about the book content will reveal the content of the book, and if you know too much, you won’t enjoy it while reading. We must count the detailed preface and the glossary as positive attributes of the book. The business link between various clans are not very properly presented and it is tough to digest. 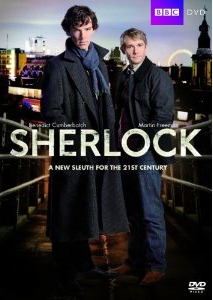 The book starts with a murder but it doesn’t keep you glued since beginning. As there are many things going on, you have to wait for a while to develop interest. If you read till more than 40% of the book, it is a good ride then onwards. The book takes off slowly, but from chapter 10 onwards it is a fantastic ride. Also the author tries to club so many mythological stuffs under a hood, he succeeds at a level for sure, but there are some loose ends as well. However it is the first book of the series and before reading the remaining parts, it would be improper to talk about the loose ends in terms of continuity. The book is a good read if you love mythological stuff in remastered manner. We have had a conversation with Mr. Vadhan and it was an interesting session. You can read the full interview here.